For some caregivers, hospital stays are part of life. Being unprepared can make an unexpected visit a real hassle and cause a lot of undue stress for you and your loved one The best way to avoid an unpleasant stay is to have a good plan in place. Home Care Assistance has six tips to help plan your next hospital stay. The article covers important advice for what to expect when you are there, how to prepare for your stay and aftercare issues. 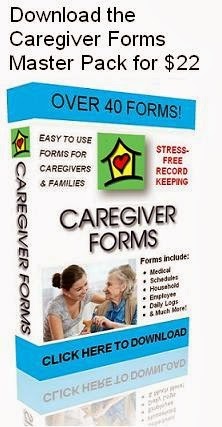 We recommend family caregivers use our Caregiver Forms to have important information ready for last minute hospital or doctor visits. Great forms to have on hand are the Personal Information Sheet, Emergency Contact Sheet, History of ER and Hospital Visits, and the Current Medication List.